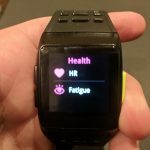 I would like to open up by explaining that during my time with the iWOWNfit P1 smartwatch I was able to conduct a more exhaustive review than I ever have before. 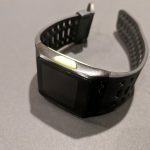 One of the things I try to do while reviewing smartwatches and fitness trackers is put them through the ringer as much as possible, without breaking them. Even doing so, it’s impossible to subject devices to enough wear during a short period to the same levels they’d experience over the course of ownership. There are also certain scenarios and circumstances that might play out that wouldn’t otherwise happen during a review period. Luckily, for you — our readers — I had quite the experience with iWOWNfit’s watch. What happened cannot simply be explained away by common negligence. My son was recently born, who also happens to be my second child. Naturally, I’ve spent many long nights awake, tired and fighting off the dark tendrils of exhaustion. As I’m sure many will agree, there’s no amount of words that can describe the casual blunders, mistakes and frustration you experience when pushed to your limits like that. 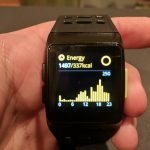 You’ll see why this matters in a short while, but for now just understand that throughout the time I spent with iWOWNfit’s P1 smartwatch I was certainly stretched thin. Bad news for me, but good news for you because it meant the smartwatch was also pushed to its limits. 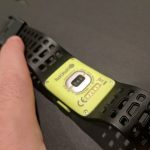 I had the chance to review the P1 smartwatch, a deliciously sporty little wearable adorned with a black and bright green finish. As for what I think, the P1 is a watch I’ll continue to wear far into the future. I love this thing. The P1 smartwatch is IP68 water-resistant which means it’s “waterproof” up to a distance of 5ATM or 165 feet (50 meters). So, it’s safe to take in the pool, shower and even in the ocean provided you stay above the specified depth. Generally, whether my devices are water-resistant or not I take them off when I hop into the shower. I test them one or two times to make sure they’re okay, but I still err on the side of caution. I opted not to follow this practice with the P1, and everything turned out well. But what I didn’t plan on doing is putting my smartwatch through the wash, complete with fabric softener and soap. Furthermore, I didn’t then plan on sending it through a dry-cycle. If you’ve ever put your hand inside the dryer even after a cycle wrapped up you’ll immediately get why this is a big deal — it gets super hot in the drum. At some point, while out of my mind I took my watch off and slipped it into a shorts pocket. Without thinking, I tossed that pair of shorts in the hamper. My wife scooped up the hamper and filled the washer with the load, including the pair of shorts I had just taken off. Lo’ and behold the P1 smartwatch survived both cycles — washer and dryer — and is still going strong. To be sure I wouldn’t have any issues as a result I extended the time I spent with the device a couple of weeks. Guess what, it’s still running great. Now, despite how well this thing held up under extreme conditions I would not recommend putting your own device through the wash. Just don’t do it, it’s not a smart move and I wouldn’t have if I was in my right mind at the time. Now that’s out of the way, let’s move on to the rest of the review. Relatively cheap, Chinese wearables are a dime a dozen these days. Just pay a visit to Amazon and conduct your own search, you’ll find dozens — if not hundreds — of product listings. Many of them are identical save the brand peddling the watch. But iWOWNfit’s devices stand out, as I’ve said before. If you asked me to write a checklist of what I’d want in a smartwatch, the P1 fits. It has SMS and message notifications so I don’t have to continuously refer to my phone, unless I’m going to reply. 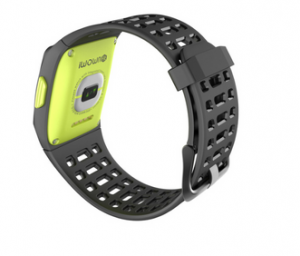 There are a ton of fitness tracking options, along with an active heart-rate monitor. It has sleep tracking, which I hardly ever use outside of reviewing these devices, but it is nice to know the functionality exists. A fatigue tracker tells you when you’re body needs a rest. Several extra modes prove useful too, like a do not disturb function, battery saver mode, and even a torch when you need a bright light. As for the mobile app, it seems generic at first but it’s fun to use. 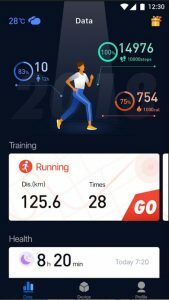 The stats are presented in an attractive yet practical way, and you can see a clear representation of your fitness and data history. Most apps you’ll find are frustrating, poorly designed and sluggish — iWOWNfit Pro is none of that. I said it in my previous review and I’ll say it again. 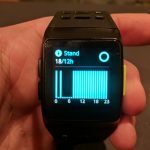 I would happily purchase another device from iWOWNfit and I’m satisfied with what this watch offers for functionality and reliability. 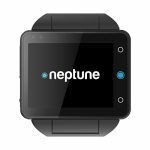 Anyone else looking for a budget-friendly, yet capable smartwatch would feel the same. If you want to know a little more about the P1 smartwatch, keep reading. 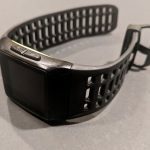 Overall: 4/5 – The P1 looks good, is super comfortable, and offers reliable activity tracking alongside a monumental array of sport tracking modes. Even better, the mobile app is enjoyable to use and has an attractive UI. Really, there’s nothing else the P1 needs, it’s great. Honestly, I really don’t think I have to say much else here. This thing survived a wash and dry cycle and is still running strong. The band is excellent, comfortable and quite durable. The screen isn’t prone to scratches or scuffs — though greasy fingers can cause quite the fuss. 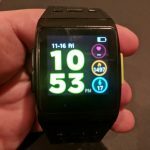 It is hands-down one of the best budget-friendly and off-brand smartwatches I’ve ever had the pleasure of using. Build: 5/5 – The iWOWNfit is durable, water-resistant, and comes with a great stock band. Plus, this thing survived time in the washer and dryer, coming out with no damage. Take a look at the P1 smartwatch in the review pictures. What do you think? That’s exactly how you’ll feel about the design of this device. It looks a lot more like a sports watch as opposed to a smartwatch. It has a square face, instead of a round one. The screen spends a lot of time off unless you flick your wrist or press one of the side buttons. Personally, I like the design. I enjoy the black finish with bright green accents, it adds a nice touch. 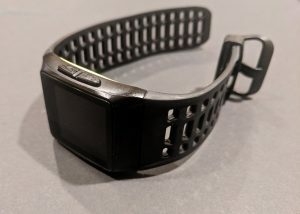 I like the streamlined look of the connected band — it appears there are no seams until you hold it right up to your eyes. It also feels great to wear. Design: 4/5 – What you see is what you get. 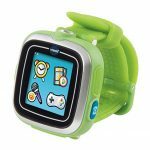 A comfortable, durable and reliable smartwatch that you can take just about anywhere and do almost anything with. 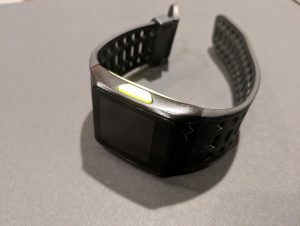 Just like the previous iWOWNfit device I reviewed — which was actually a full-blown fitness tracker — the P1 offers some great health monitoring options. Basic stats tracked include daily steps, time spent standing, and calories burned. You can see these options by swiping up or down when viewing the home screen. 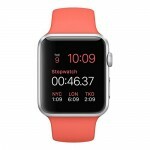 Each stat has its own page within the watch OS. When you swipe from left to right — or the opposite — you’ll get a different set of menu options, including an entire page dedicated to sports activities. Through this screen you can track stats for running, biking, walking, climbing, basketball, badminton, table tennis, soccer, volleyball, sit-ups, jump-rope, yoga, dance, aerobics, ice skating, swimming and tennis. So, yeah, there are a ton of sports-related tracking options. If you play it or do it, you can track. This thing is pretty great at it too. You can also track heart-rate with the built-in ECB/HRV sensor. As with most wearables, it’s not the most accurate thing ever but it will certainly give you a ballpark figure of your heart-rate. Additionally, you can track fatigue by placing your finger on a sensor located just below the display. 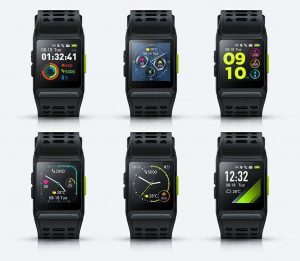 Tracking: 5/5 – The P1 smartwatch not only tracks the basics but has a comprehensive list of sports and activity tools, as well. On top of all of that, you also get a heart-rate sensor and sleep tracking. The P1 smartwatch displays notifications and alerts too. After connecting to your smartphone you’ll get both message notifications and major alerts from any apps you have enabled within the iWOWNfit settings. I use Google Hangouts to talk with friends and family, for example, and I was able to receive message notifications from that instead of the standard text app. You’ll also receive calendar notifications, which you can configure in the iWOWNfit app. Then there’s a basic stopwatch and separate timer you can use to track, well, time. 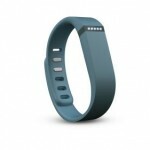 Plus, you get all comprehensive fitness trackers. You get the smartphone and mobile notifications. There’s a heart-rate and fatigue sensor. There are multiple watch faces. You can even enable a “do not disturb” mode from directly within the watch settings. Swiping from the bottom of the screen up will reveal a quick settings menu with three options: night mode, torch mode — which turns the screen bright for extra light — and battery saver mode. You can view basic health stats by swiping from the top of the screen down, or from the middle of the screen up. They are also displayed via dynamic meters on the default watch face. Additional menus can be accessed from swiping left to right or the opposite direction when looking at the home page. 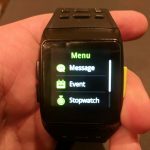 These extra menus include the sports tracking list, a sub-menu with the additional tools, and a final page that activates the heart-rate and fatigue tracking modes. Everything works as intended, and the stats appear to be quite accurate. I also like being able to see total steps traveled and calories burnt right on the main screen. It’s awesome seeing these at a glance when I pop the screen on to check the time. Functionality: 4/5 – There’s a lot crammed into the shell of this little guy. I can’t think of anything else I’d want it to do that it can’t already. I would have liked to see a better setup for the message notifications and mobile alerts, but it works just fine as-is. I don’t have an iPhone or iPad handy to test this thing out with so I can’t speak about the support there. According to iWOWNfit this bad boy will work with iOS 9.0 and above, and there’s a companion app available on iTunes. It’s also compatible with Android 4.4 and above, and you’ll find the iWOWNfit Pro app on Google Play — remember the “Pro” in that name is crucial. Choose the right app and it will sync up fairly quickly, but choose the wrong one and you’ll spend hours pulling out your hair. If you have anything other than an Android or iPhone you’re out of luck. Compatibility: 4/5 – The P1 smartwatch is compatible with most newer smartphones running iOS and Android. But if you have anything else, you’re up the creek. I have to admit, before the P1 arrived on my doorstep I looked it up online and didn’t expect much. I realized how wrong I was immediately after opening the box. It looks great, feels great and offers a ton of functionality beyond your basic tracking and mobile notifications. It currently stands as one of my favorite budget watches I’ve had the pleasure of reviewing. I will continue to use it in the foreseeable future whereas nearly all other devices I gave away. I’m confident that if you take the chance, you’ll be happy with it, as well. 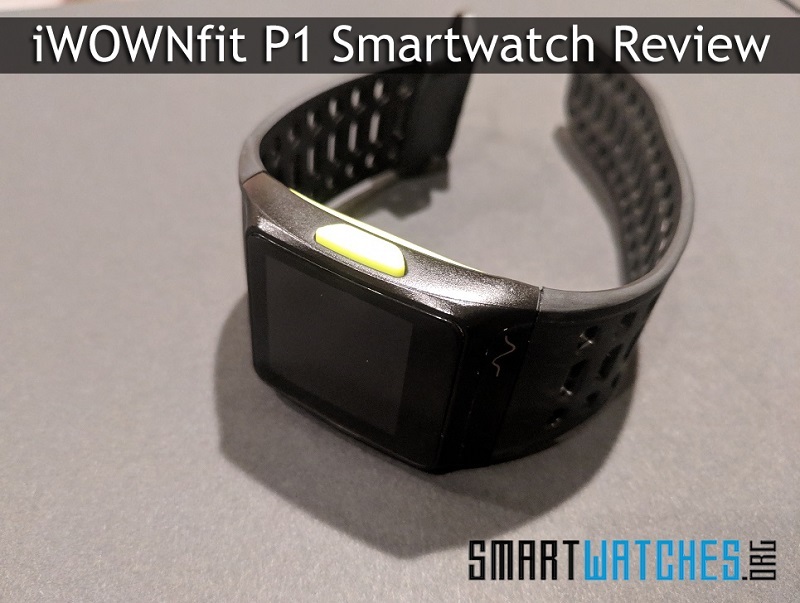 We hope you enjoyed our iWOWNfit P1 smartwatch review and that it helped you decide whether it was the wearable for you or not. Stay tuned for more coverage! 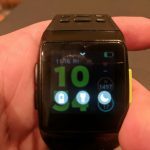 Where Can I Get the iWOWNfit P1 Smartwatch? 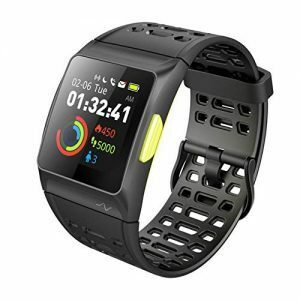 You can buy the iWOWNfit P1 smartwatch from Amazon.